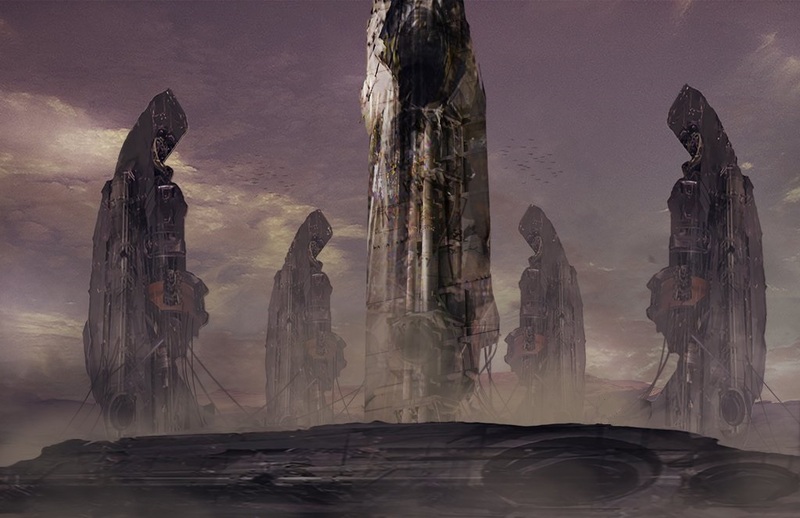 The Henge is a pre-collapse site on the planet Soria made up of five identical structures towering over 45 meters high that are positioned equidistant in a ring pattern. A sixth identical structure lies horizontally, about 200 meters from the ring. It is not clear whether or not the this part of the structure had fallen or was intentionally laying on its side. Some believe the Henge is some kind of pre-collapse launch facility, but engineers have never been able to truly ascertain its original purpose. It is dated to roughly 2,800BT. Although it is a spectacular site, the remote location — in the middle of a barren mesa, over 140 kilometers from the Donium, the nearest town — discourages many from visiting.